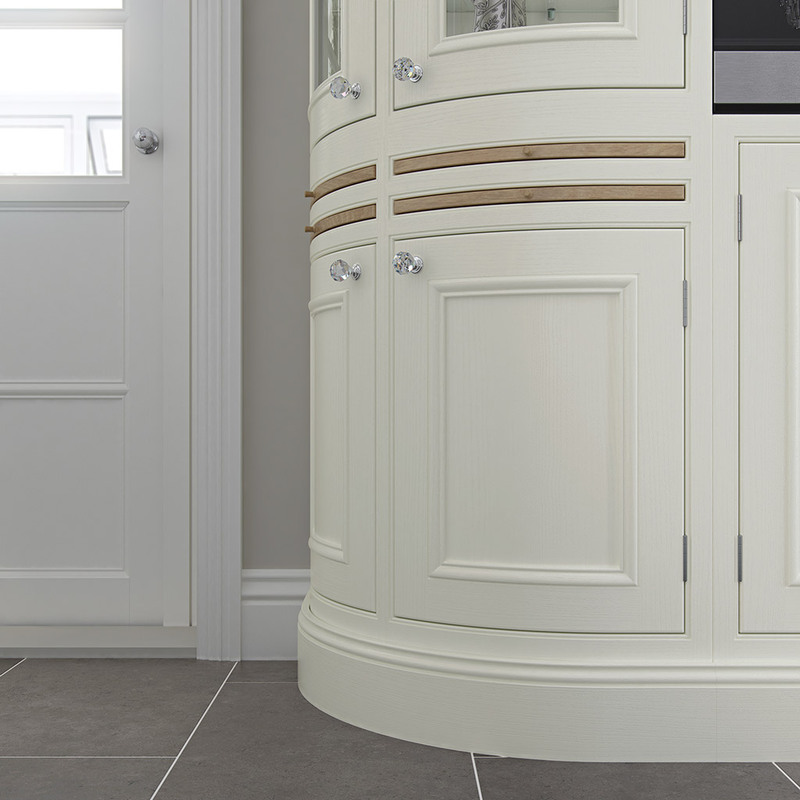 With its unique raised moulded beading, devised to accentuate the highlights and shadows of this ornate door, Charlotte is a quintessential example of truly ‘grand’ design. 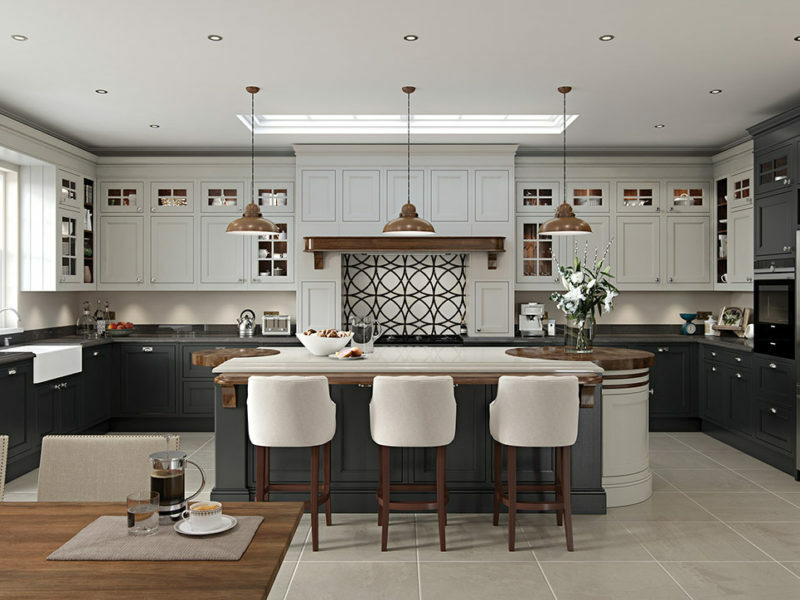 Accompanied by an exclusive collection of accessories, all created to reflect its elegant nature, a Charlotte kitchen will never be matched for style, quality or opulence, all whilst fulfilling its practical requirements. 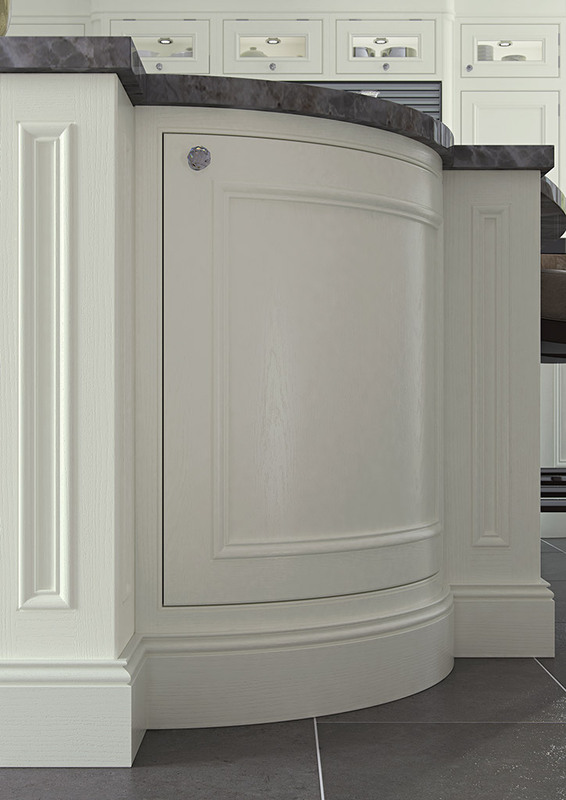 Accessories include handcrafted 5-piece posts to highlight appliances or other important features, moulded plinths that match the detailing in the door and lavishly embellished Charlotte posts which are used for worktop support. 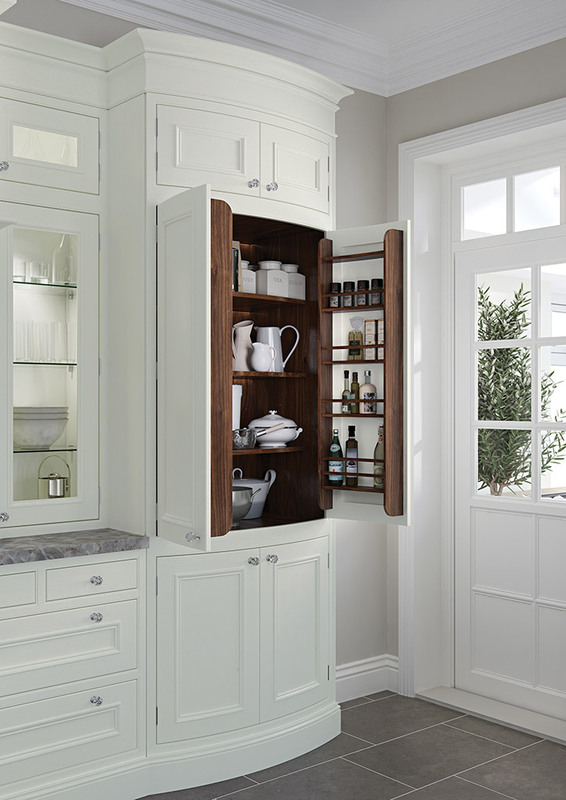 Curves and bows contribute to the complexity of Charlotte’s craftsmanship, featuring frames with curved glass, curved and bowed doors, curved inset chopping boards and a bowed pantry unit with Walnut spice racks (also bowed). 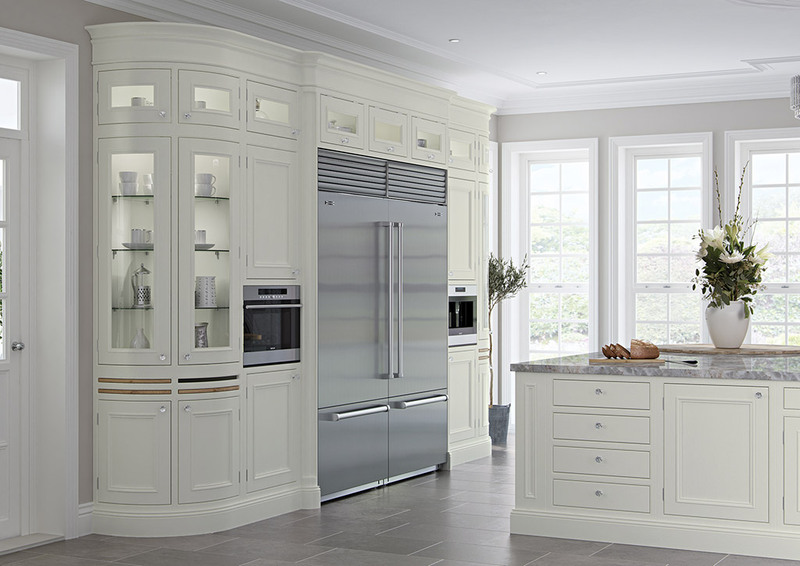 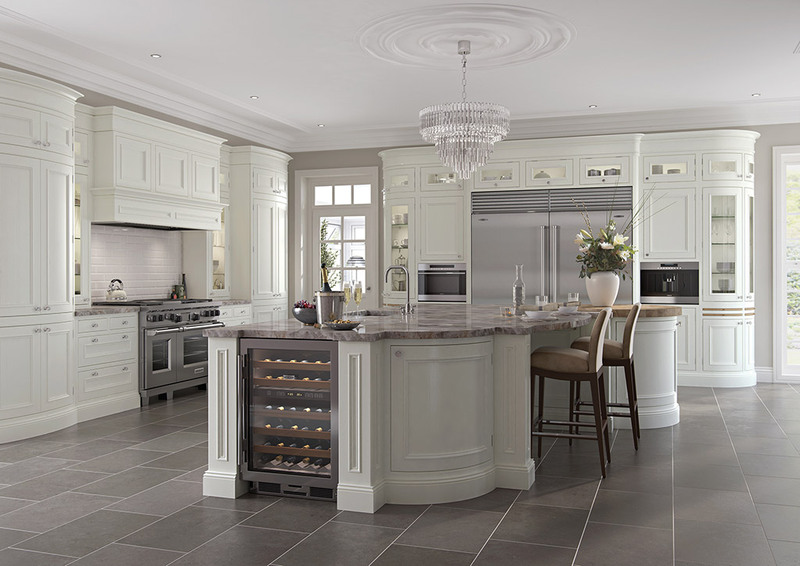 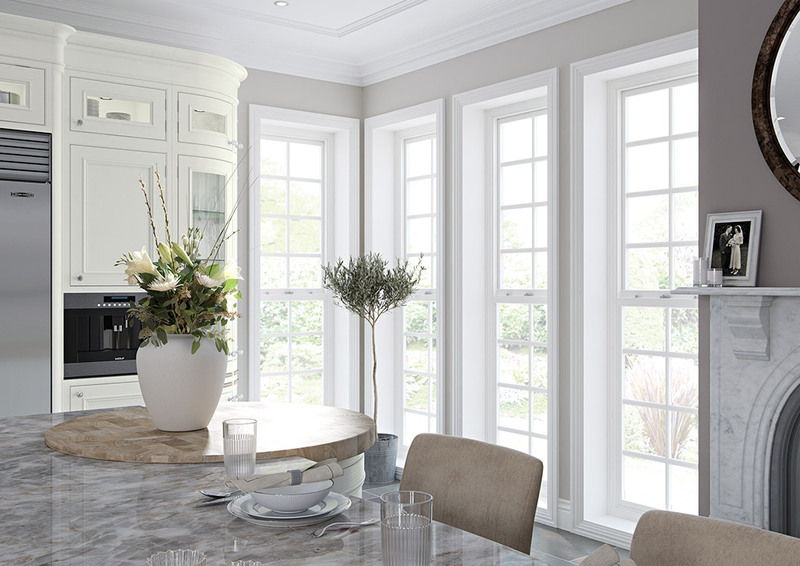 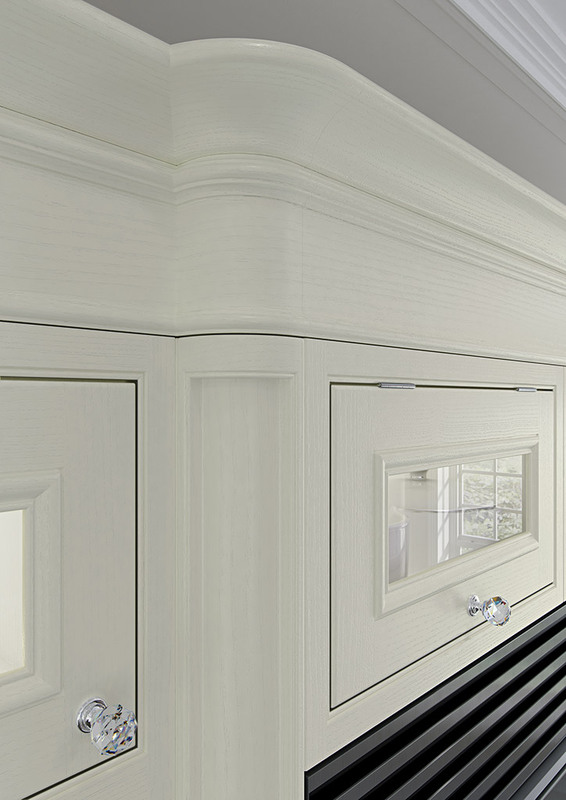 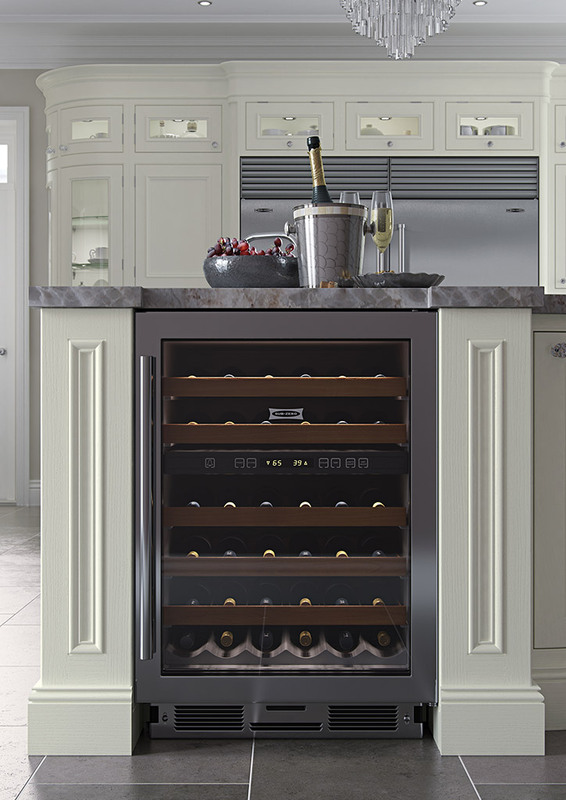 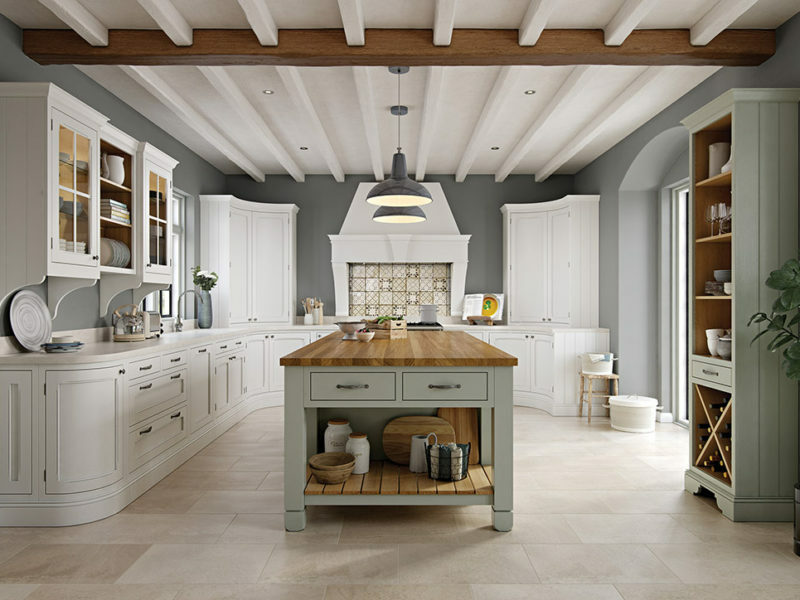 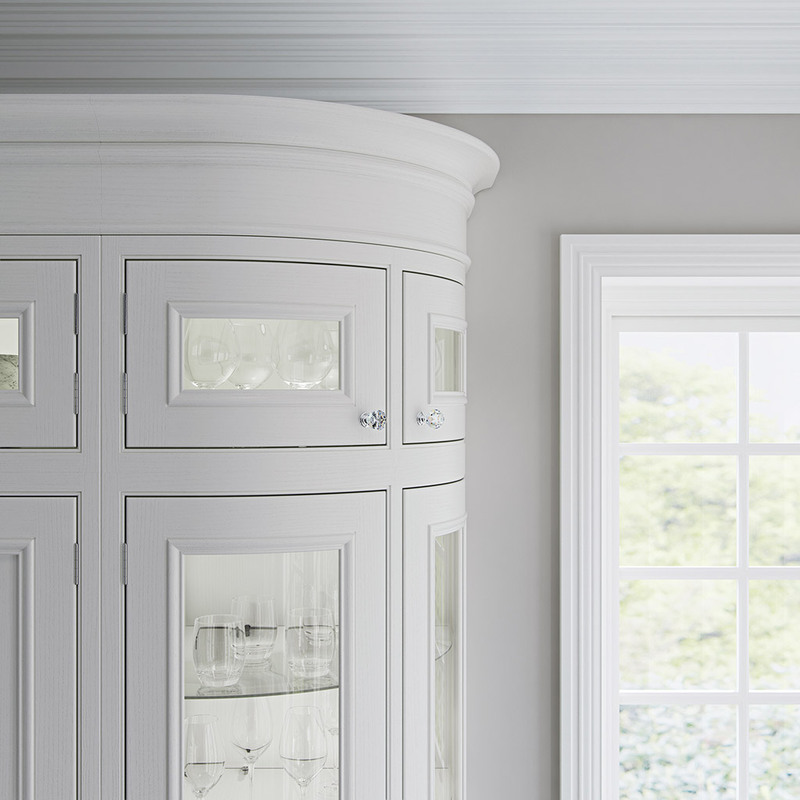 When it comes to classic luxury you need not look further than the Charlotte kitchen. 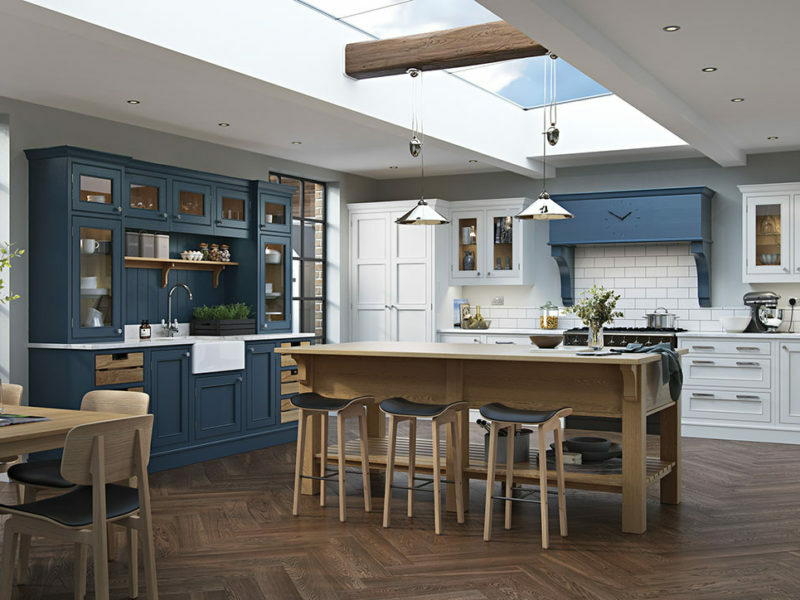 The kitchen shown here features Charlotte Painted Porcelain (full kitchen) with Walnut internal accessories and Oak chopping boards.